The sanctuary will be open to the public after the Memorial Day Parade on Monday, May 28. Italian ices will be served on the lawn. Church and community members are invited for conversation and informal tours of this lovely historic landmark that all wish to preserve for future generations. 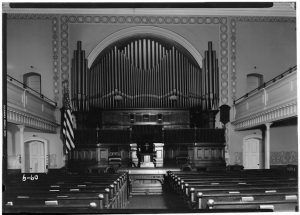 Here’s an interior photo from the 1930s.